Benjamin Ellis received his masters degree from Syracuse University studying under Dr. Kenneth Meyer. While working on his degree, Ellis worked as an adjunct faculty member teaching non-major guitar classes at Syracuse University. He also holds a bachelors degree from the Fredonia School of Music at SUNY Fredonia, where he studied with Evan Drummond. His time in Fredonia included studying in master classes with Luis Zea and Roland Dyens. Ellis, in collaboration with fellow guitarist Ian Hill, performed the US premiere of Dyens’ Comme des Grands in 2010. He has also studied in master classes with Nicholas Goluses, David Tanenbaum, Gaëlle Solal, Matthew Slotkin, Gohar Vardanyan, and Eliot Fisk. 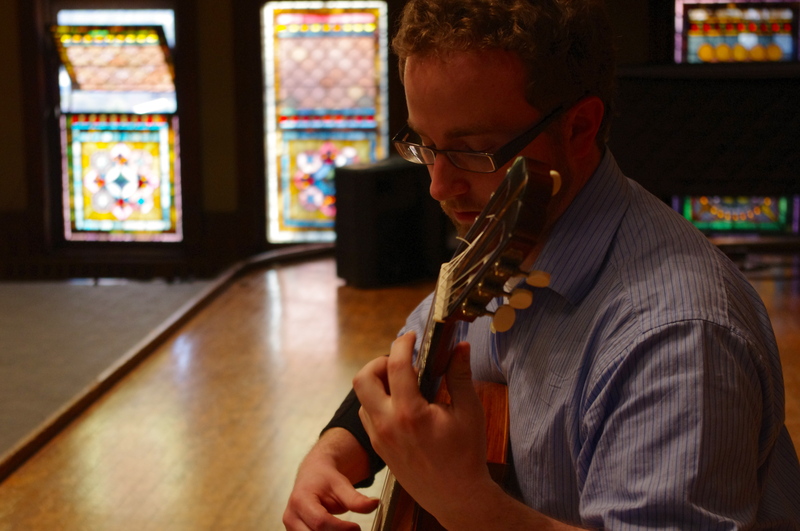 He was recently awarded the Creative Opportunity Grant through Syracuse University, giving him the chance to collaborate with composer Sean Doyle in creating a new work for the guitar entitled Dance Suite Miniatures. He is currently collaborating with a+s works, a New York City based Dance Company, on a joint commission for guitar and dance.